As funny names bloggers, we believe it’s a wonderful thing when someone notable has a fantastic and unusual name. Pablo Diego José Francisco de Paula Juan Nepomuceno María de los Remedios Cipriano de la Santísima Trinidad Ruiz y Picasso is such an example. 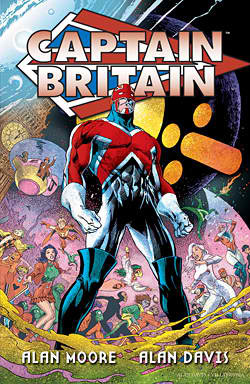 Captain Britain: like Captain America, except more proper-sounding and with better galoshes. However, it is perhaps even more impressive when a person’s name is so extraordinary that it lifts someone out of relative obscurity, seemingly by the virtues of his or her name alone. Saeid Mohammadpourkarkaragh falls into this category. The Iranian weightlifter’s hefty surname turned him into a Reddit darling during the Olympics, and “Saeid Mohammadpourkarkaragh” is – by an alarming margin (bringing us almost 30x as many hits as the next most popular name Fearne Cotton) – the top search query in the history of our blog. Which brings us to Leone Sextus Denys Oswolf Fraudatifilius Tollemache-Tollemache de Orellana Plantagenet Tollemache-Tollemache. He was a captain in the British Army who passed away of influenza during World War I. Unfortunately, he passed away in his early 30’s, but by all accounts he lived a very full wife. He married an Irishwoman, they had a child together, he rose to the rank of Captain, served in India, Ireland, France and Australia, and had a well-regarded diary of his exploits. However, one thing Leone can’t say is that he had the best name in his family. I believe that belonged to his brother, Lyulph Ydwallo Odin Nestor Egbert Lyonel Toedmag Hugh Erchenwyne Saxon Esa Cromwell Orma Nevill Dysart Plantagenet Tollemache-Tollemache, whose first fifteen initials spell LYONEL THE SECOND. Pretty rad. One last note before I hit my 500-word limit: James Joyce parodied Ralph’s naming strategies in his book Finnegan’s Wake, naming a character Helmingham Erchenwyne Rutter Egbert (HERE) Crumwall Odin Maximus Esme Saxon (COMES) Esa Vercingetorix Ethelwulf Rupprecht Ydwalla Bentley Osmund Dysart Yggdrasselmann (EVERYBODY). I agree… a very interesting one. (Sorry for the 5-month belated comment… Amber just helped me stumble upon this post… I had completely forgotten I was the one who wrote it… it’s great to rediscover a name I’ve written about… for the first time 🙂 ). Mabel Helmingham Ethel Huntingtower Beatrice Blazonberrie Evangeline Vise de Lou de Orellana Plantagenet Toedmag Saxon is my favourite. All those names at your disposal and you lead off with Mabel? Mabel?!? I hope her friends called her Blazonberrie. Amb, just saw you link to this in your Whip Hubley draft… this might be the first time I didn’t recognize a post that I had written myself. Judging by the date, I think this was right in the middle of my med school secondary application period, so I was so preoccupied with other things this one just dropped off my mental radar. What a treat to find this name again… for the first time! That’s how you write when you’re preoccupied?!? Shut the front door. P.S. I just read the comments on that Alert, Nunavut post. Remember when you were going to take a hiatus? Haha, that turned out splendidly! They clearly shared my enthusiasm for the name Plantagenet. The word appears 13 times in the article. What fabulosity. I came across this site after I found out about the Tollemache-Tollemache family. One thing that makes this even more ridiculous is that Tollemache-Tollemache is pronounced Tool-make-Toll-mash. Get more what? Root canal symptoms? Hi to every one, it’s actually a good for me to visit this website, it includes priceless Information. Leone Sextus Tollemache, see above was my Grandfather. There are several mistakes in your article above. My Father Denys Tollemache was born in January 1915…Kathleen died in March 1915. My Grandfarher served in India,England, Ireland (he was stationed in Fermoy, co. Cork) & in France. He was seconded to serve with the ANZAC forces in the 3rd Australian Infantary Brigade during the 1914/18 war with the rank of Acting Brigade Major. He did NOT serve in Australia. He Died on 20th February 1917 from Influenza..